Porsche started testing their LMP1 prototype for next year's Le Mans 24, and this is how it looks from the rear. What's your favorite detail? It's image annotation time! Neel Jani took to the wheel for the very first time. The former Formula 1 test driver supports Timo Bernhard and Romain Dumas with testing. 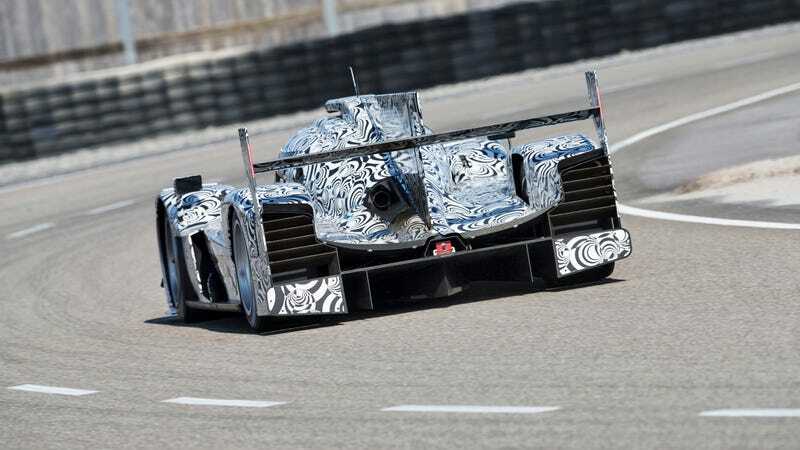 The fourth driver is Mark Webber, who will be bolstering the Porsche LMP1 team from 2014.